The latest addition to the Yarrabilba Estate, Buxton Park, offers local residents and visitors over 8 hectares of recreational space. Featuring an impressive children's playground, exercise equipment, picnic facilities, open grassy areas and wetlands, this park caters for all members of the family. 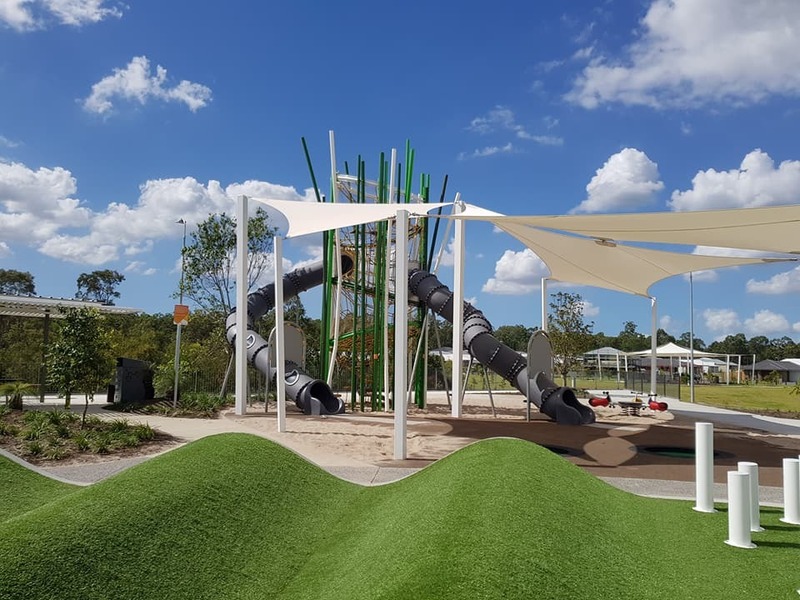 The most interesting feature of the playground is a long caterpillar-like structure covered by synthetic turf. The rises and falls of the caterpillar "body" are used for running, climbing, resting and general fitness training. Children will love the custom designed Garden Tower, reaching a height of 8.7 metres. This tower incorporates climbing nets and ropes, a lookout and two enclosed slides. Nearby, three in-ground trampolines, rockers and a row of swings (netted, regular and toddler) provide continued enjoyment. 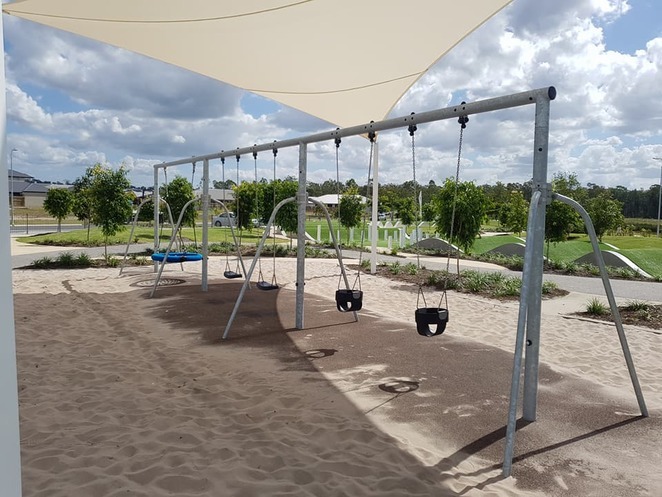 The playground is partially sheltered by white material sails. Buxton Park boasts an innovative digitally-interactive cross-training circuit. 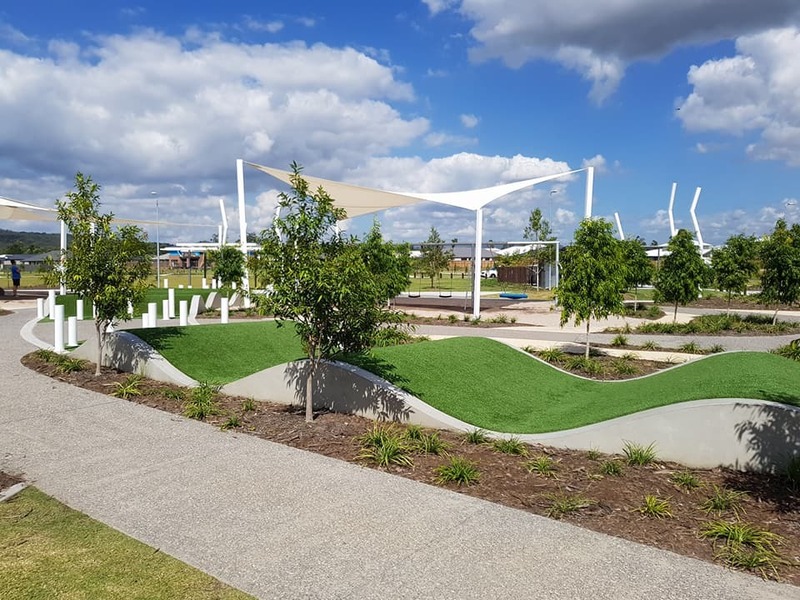 A traditional undercover exercise area offers equipment suitable for users of varying ages, abilities and fitness levels. 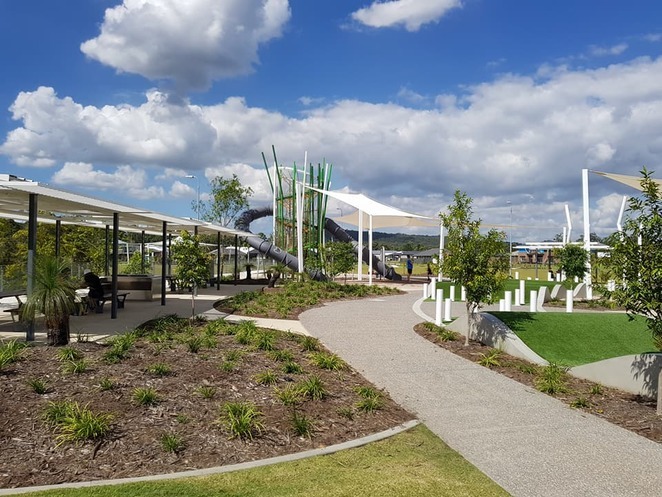 A row of sheltered picnic tables with electric barbeque facilities overlook both the wetland and playground areas. Additional gazebos are scattered throughout the parkland, allowing for use by multiple groups of people. A recently established wetland area is beginning to thrive. There are plans for continued improvements with regards to size and attracting local wildlife. 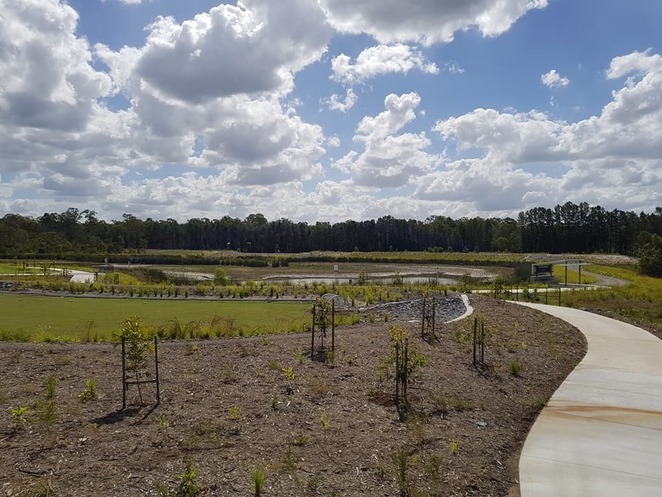 Concrete paths travel alongside much of the wetlands and around the perimeter of the park, allowing families to enjoy a scenic walk or bicycle ride away from any traffic hazards. Limited parking is provided along the park frontage - local residents may find it easier to walk or cycle to the venue. A modern toilet block with handicapped facilities is clearly visible at the main park entrance. Plans have also been approved for an on-site off-leash dog area.